Anyone who watched the Apple (AAPL) keynote this week (if you’re me) couldn’t help but notice that it was a parade of middle-aged white guys who came on stage to reveal the company’s latest and greatest. And Twitter, ahead of it’s planned IPO next month, has come under fire for the makeup of its board of directors: all white men. The executive team isn’t much better (all men except for the general counsel). And lest it seems like we’re picking on Twitter and Apple, the lack of women and minorities in leadership and director roles at tech companies is a broader problem. As The New York Times reports: About 49 percent of publicly traded information technology businesses have no women on their boards, compared with 36 percent of the 2,770 largest public companies in the country, according to GMI Ratings, a research firm. In the accompanying video, Yahoo Finance technology reporter Aaron Pressman reveals why he thinks this disparity exists. One common argument is that there simply aren’t enough qualified women and minorities in tech to fill these roles. The numbers (focusing on women) seem to support that. According to the research firm Catalyst which studies women and business, only 5.7% of employed women in the US work in the computer industry, and only about 2% of women have a degree in a high-tech field. But Pressman makes what he says is an important distinction. “You don’t have to have a computer engineering degree to be on the board of Apple – most of the people are not [engineers],” he tells us, pointing out that the same goes for other tech companies. At Twitter, alot of the board members have media backgrounds. And the push for diversity is not just rooted in political correctness. 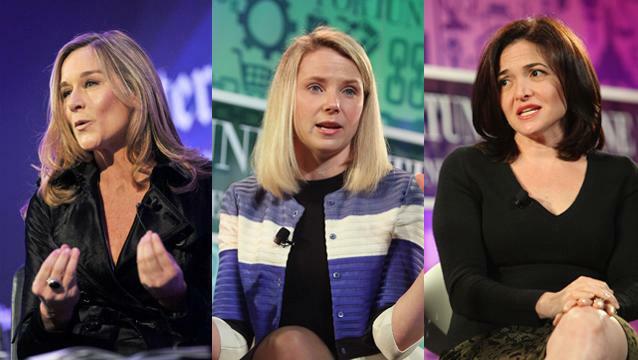 Studies reveal that diversity has a real value for companies. Again, to cite the New York Times: McKinsey & Company found that the companies with more women on their corporate boards far outperformed the average company in return on equity and other measures. Operating profit was 56 percent higher. So in the face of this problem, is anything really changing? After all, Twitter has come under pressure to get a woman on its board and Apple has hired Burberry CEO, Angela Ahrendts, to run its retail stores and online site. Some are saying she's a contender to be the company’s next CEO. Check out the video to see if Pressman sees these examples as real progress. He also has some ideas of how to attack the problem in Silicon Valley.